I am really amazed by the apps available on smart phones that reveal the constellations you are looking at by holding it up to that area of the sky. It does not replace the map but can be an excellent companion when you are walking below the stars. Pocket Universe, SkyWatch Planetarium, Star Walk, Star Chart, there are dozens of great astronomy apps for the iPhone & Android smart phones. There is also Exoplanet which is a daily updated catalog of all discovered extrasolar planets. It’s true that today these apps make it a lot easier for us to confirm witch stars we wre looking at! I’ve got a planisphere. 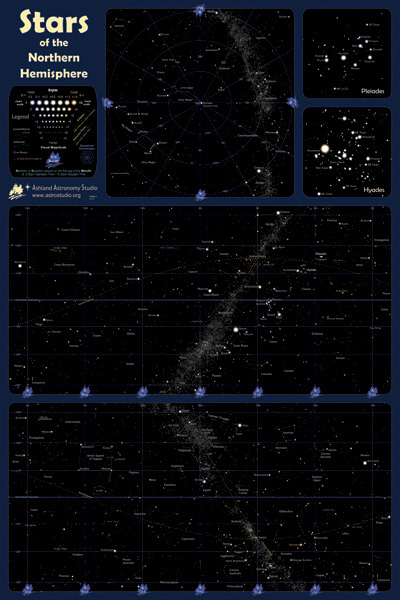 I’d rather use this month’s chart from skymaps.com – it’s free. There’s a list of stuff to look for as a bonus. Palm stopped selling non-phone devices. Dumb. But “Planitarium” on the palm does pretty much everything i need. It’s not free, but cheap, and upgrades are free. I use the free programs: Stellarium (Windows, Mac, Linux), Celestia (Windows, Mac, Linux), and kstars (linux). Of these, i use kstars the most. The Orion XT-10i ($700) – a 10″ Newtonian Dob is the largest scope that fits in every car, sets up in under 3 minutes, and has a computer locator (push-to). The cheaper xt8i and xt6i are smaller versions. I found that the computer was more teacher than crutch. YMMV. There is need to applied backward race culture connect dot art draw cimplex building heart center temple house body of star God companion for the star map. Bring the popular fashion, but Uggs Canada there are also a lot of people like classical style. would be impossible to notice. Hydraulic Pneumatic Solenoid Valve are in general similar Direct Acting Solenoid Valve pneumatic solenoid valves except that they control the flow of hydraulic fluid (oil), often at around 3000 psi (210 bar, 21 MPa, 21 MN/m2). used Plastic Solenoid Valve irrigation systems, where a relatively weak solenoid opens and closes a small pilot valve, which in turn activates the main valve by applying fluid pressure to a piston or diaphragm that is mechanically coupled High Pressure Solenoid Valve the main valve. Solenoids are also in everyday household items such as washing machines Explosion Proof Solenoid Valve control the flow and amount of water into the drum. Previous Previous post: Could Kepler Detect Borg Cubes? Why Not.